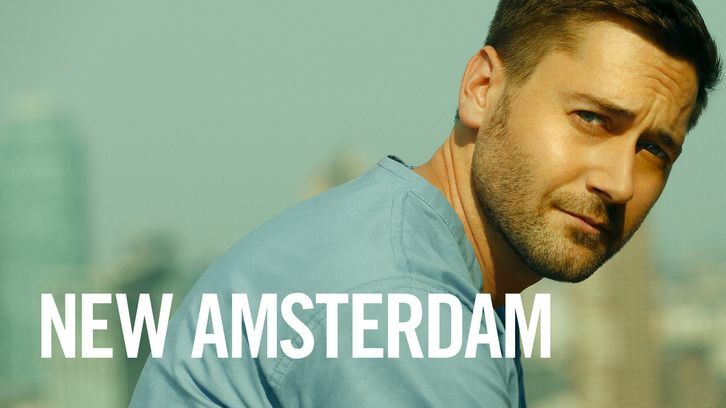 It's time for the fall finale of New Amsterdam and this episode goes down with more subtly than most explosive midseason enders. It's not flashy but it's still a solid hour of television and it brings plenty of emotions. As we've come to expect from this show, you'll likely be reaching for the tissues. Now that we're finally getting serious about Max's (Ryan Eggold's) cancer treatment, he has to convince Helen to take a risk on his treatment course. If you recall from last week, Helen (Freema Agyeman) and Max had differing ideas of how best to move forward. Helen vouches for chemo and radiation, but Max doesn't want to go through the brutal side effects those methods always bring with them. He's hoping to get involved in a clinical trial for precision therapy. Helen is apprehensive but at the end of the day, it is Max's choice and she's going to do her best to fight for what he wants regardless. Also in Max's corner, he has a case that is very personal to him this week when a woman who Luna gave her heart to in an organ transplant 27 years ago is rushed into the hospital due to bleeding. Max will do anything to save this woman, Sarah (Andrea Syglowski), and in a way, save his sister's memory too. There was one scene in particular between Max and Sarah I found poignant and touching. Eggold is really bringing his A-game on this show and the casting department is doing a fantastic job of finding guest actors. After beginning to move forward with his son, Vijay (Anupam Kher) is proud of him for achieving a year's sobriety. To commemorate this step, he wants to figure out a way to help his son and seeks advice from a familiar friend on the best way to achieve it. Though along the way, he may find himself helping more than just his son. Lauren's pill-popping shows no immediate signs of stopping. She claims to have everything under control, but does she? Also, last week, she accidentally let slip a bombshell to Evie. This week she will see the fall out of that admission. It would appear difficult times are ahead for Lauren. Also starring Tyler Labine as Dr. Iggy Frome and Jocko Sims as Dr. Floyd Reynolds. "Today, I get to help somebody find out who they are, I get to help somebody find their voice." "Tell me everything you can about that heart." "Use your money to help someone you care about. What else is it for, right?" "If you really are a card-carrying member of the Sisterhood of Sisters, you won't let me do it again." "However long it may take, I will be here, by your side, night and day, until we get it right." "I was only here because another girl wasn't." "Clinical trials are riskier than chemo, they're also the only way to find a treatment better than chemo." SAVING THIS ONE LIFE MAY COST HIM EVERYTHING: WATCH THE NEW EPISODE OF NEW AMSTERDAM TUESDAY, NOVEMBER 27TH @ 10:00 PM EST ON NBC.